Mohammed Carrim expresses optimism over joining Mamelodi Sundowns. Mohammed Carrim poses with Mamelodi Sundowns coach, Pietso Mosimane. Photo: Provided. 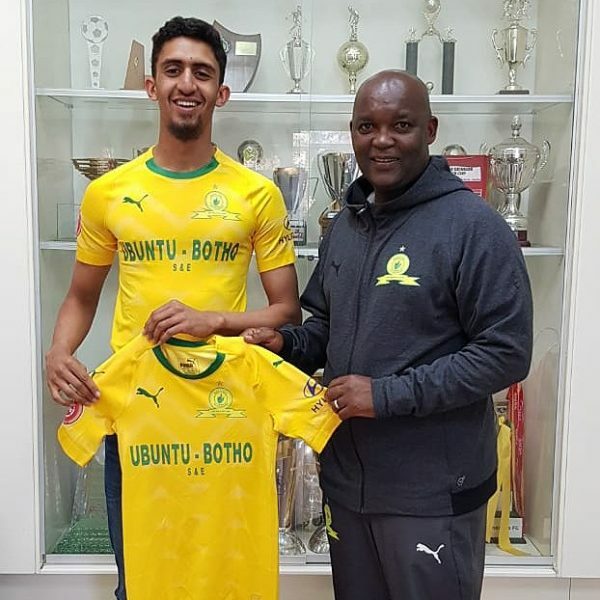 Mamelodi Sundowns has signed Bidvest Wits’ youngest player, Mohammed Carrim, for an undisclosed fee. The defender, who is currently in Grade 11 at Auckland Park Academy of Excellence, will play for the Brazilians’ MultiChoice Diski Challenge team this coming season. Carrim, who has been at Wits for three years at academy level, told Wits Vuvuzela that Bidvest Wits had helped shape him as a player but now was the time to move on. “I’ve seen a major improvement in my development, in terms of both my technical and tactical abilities. The exposure at Wits has increased my confidence. “I am looking forward to working with coaches of such a high calibre and developing into a more all rounded player,” he added. The youngster will play midfield for the Brazilians. Carrim started his soccer career at Wits Juniors at the tender age of seven and continued at the club until he was 13. During this time, he played for the Bidvest Under-13s for a year. He later rejoined Wits Juniors as an Under-17 for two years. When contacted about the young player’s move to Mamelodi Sundowns, head of Bidvest Wits Academy Glen Salmon said “I refuse to comment”. Mamelodi Sundowns could not be reached for comment as the team is in Morocco for a match against Wydad Casablanca scheduled for Friday, August 17. Wits Vuvuzela, Bidvest Wits’ woes go on, April 26, 2018. Wits Vuvuzela, Bidvest Wits top league table after first outing, August 6, 2018.